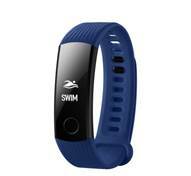 · The minimalist design of Honor Band 3 is a first in its category to provide water resistance up to 50 meters and has customer swimming modes to track swim time, and calories burned. 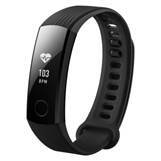 · It comes with optical heart rate monitoring technology that lets you check your statistics anytime with a twist of your wrist. For heart rate tracking, the band has five zones to help you precisely track and optimize your workouts – warm-up, fat burning, aerobic, anaerobic and extreme. · The Honor Band 3 comes equipped with options of automatic recognition of burnt calories, measuring the distance and intensity of activities. · Further, the band’s larger bright display not only helps you track your statistics but also works as your All Day Assistant with notification alerts like caller ID, emails, call rejection, social media and calendar alerts. 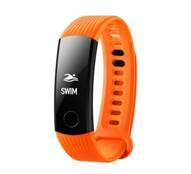 Integrated with Huawei TruSleep™ tracking technology. · The band adopts the sleep monitoringtechnology of TruSleep, which can accurately analyze various stages of sleep, including deep sleep, light sleep, REM sleep and awake, to help you obtain sleep quality evaluations and recommendations authorized by the CDB center of Harvard Medical School.